A recent poll in the UK confirms a trend I have noticed elsewhere – the movement of younger people away from organised religion, and to a slightly lesser extent, from religious beliefs. But also to a decline in respect for religion and its leaders. The YouGov poll for the Sun shows a decisive turn against religion among 18 – 24 year olds. And a very low belief in a god (see Poll: Young people turn decisively against religion). 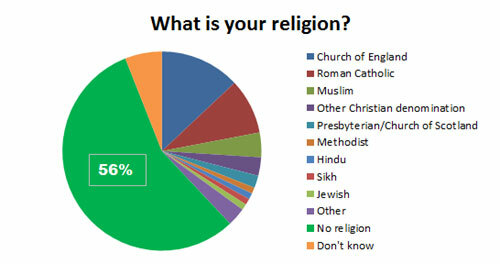 Fifty six% of people in this age group say they have no religion while 38% don’t believe in a god. 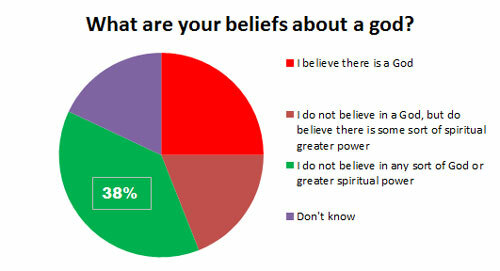 In common with other polls there is still substantial support for not believing in a god but believing in “some sort of spiritual greater power” – the halfway house. Only 12% said religious leaders have any influence on them – lower than for politicians, who scored 38%, brands, which scored 32% or celebrities, who scored 21%. 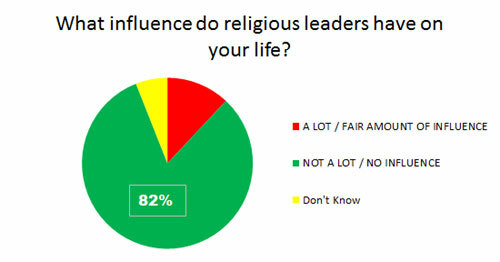 Eighty two% declared religious leaders have no influence. Finally, a high 41% told pollsters ‘religion is more often the cause of evil in the world’ while only 14% said it was a cause for good. I think we might find the same attitudes in this country. With polling like this it is about time that we all recognised that religion is not the source of our morality and public utterances claiming it is should stop. Colin Craig, leader of New Zealand’s Conservative party, is upset at last night’s parliamentary vote supporting marriage equality. 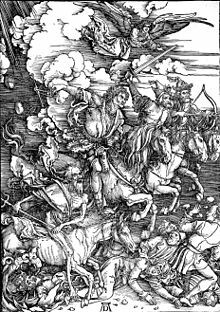 On twitter (@ColinCraigNZ) he warned “The day of reckoning is still to come.” Some Catholic Bishops in Auckland issued a similar warning. The Catholic Bishops also implied that the next election might see loss of support for those MPs who supported the law as an angry electorate took vengeance. Craig and those bishops should get out more. Polling has shown majority support in New Zealand for marriage equality. And comments in the twitter stormduring the parliamentary debate last night indicated people were considering electorally supporting good speakers even though they represented political parties they hated. The overwhelming assessment of the parliamentary debate on this legislation was that it was a high quality, reasoned and non-partisan approach made possible by the conscience vote. Bloody hell, the parliament TV channel must have had a huge following – patrons in bars and at parties were watching the debate. On this issue parliament TV was the best viewing of the night. The legislation was passed by an overwhelming majority (77 to 44). Members of parliament supporting the legislation impressed in their speeches because they were arguing in favour of human rights, and removal of discrimination. That resonated with viewers – and will do those speakers no harm in the next elections. The few MPs speaking against the legislation instead argued for “tradition,” “authority” and conservative religious, even supernatural, morality. I think this illustrates a clear difference in foundational values some moral psychologists describe as underlying human morality. I have written about this in reviewing Jonathan Haidt’s book The Righteous Mind: Why Good People Are Divided by Politics and Religion (see Morality and the “worship” of reason and Human morality is evolving). I think this is a useful hypothesis (although I don’t agree with his conclusions about political values and the way he treats each foundational value as equal). We all have underlying intuitions and values driven by these sort of instincts. However, I just don’t treat all these “foundational values” as equal. Or the resulting moral outlooks as always valid. While these instincts evolved in humans, and some other animals, some, to me, seem more valid in today’s society. For example, foundational values related to survival, harm and care seem fundamental, arising naturally from the inherent biological value of survival. But those related to purity, sanctity authority, etc., while often relying on instincts developed for survival (eg purity of food), are actually hijacked to emotionally justify features of society and religion. Foundational values of purity are important in considering unusual food, authority and loyalty in times of war, natural catastrophe, etc. 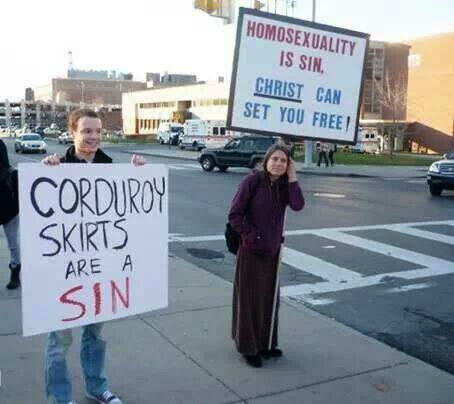 But purity in considering beliefs, social arrangements like marriage and sexual relations? Authority and loyalty when considering behaviour in a democratic and pluralist, multi-belief and secular society? I think in the latter situations these foundational values are being misused and the moral conclusions are unjustified. They are relying on the hijacking of human instincts to give emotional support for outmoded social relations. Many people have commented that the marriage equality legislation is long overdue – others have commented that “it is time.” Clearly it’s passing is possible now, and not 5 or 10 years ago, because of the change in our moral outlook. Conservatives may lament that – they may see this moral change as a decay or degradation. Others (the majority in this case) see it as progress. But in terms of Haidt’s “foundational values” I see it as society giving more credence to foundational values related to survival, care, harm, fairness, liberty and human rights. And giving less credence to foundational values related to loyalty, authority, purity, sanctity and sacredness in human relations. I think that is progress.